The most expensive, rarest and fastest finback sedan was launched in April 1961. The 300SE received the chassis code W112 and was powered by a 2,996cc OHC six-cylinder engine, developing between 160 and 185 bhp during its five-year production run. It was fitted with Bosch fuel injection but with six injectors instead of the two fitted to the 220SE. Top speed was 124 mph, and 0-60 in 12 seconds was quite quick for such a big sedan. The 300SE was easily recognizable by extra chrome, a fancier interior and whitewall tires. European cars featured handsome streamlined “cathedral window” headlights, but U.S. models were fitted with clumsier double-stacked 5-inch round lights and separate turn signals. The 300SE was fitted with power steering and four-wheel disc brakes, with a dual system after 1963. It rode on a self-leveling air suspension system, with a pump that was linked to the power steering pump. Seals proved fragile and the system was exceedingly troublesome. Many cars have been converted to coil springs. Most 300SE sedans used a four-speed automatic transmission with a console, though a 4-speed manual gearbox was available in Europe (column or floor shift) and even a few 5-speed floor shifts have been found. There was also a Long version (later called SEL) which added 3.9 inches to the wheelbase, all in the back seat. 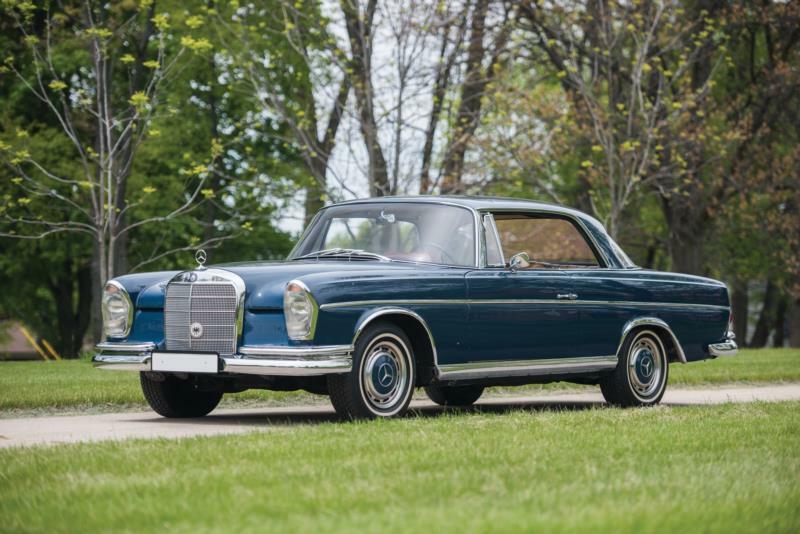 The 300SE sedans cost almost double the price of a 220SE and as a result only 5,202 were sold from 1961-65. The Long versions were even rarer, with 1,546 delivered from 1962-65. A companion 300SE coupe and convertible were added to the line in March 1962. Shorn of sedan’s fins, they foreshadowed the next series of Mercedes-Benz sedans and were luxuriously equipped with wood trim, leather interiors, reclining seats and often with factory air conditioning. Prices of the convertibles and coupes have risen sharply, and care should be taken to ensure that a prospective convertible purchase didn’t start out as a coupe, since the basic shells are almost identical. Check the VINs, as coupes and convertibles have different numbers. A total of 3,127 coupes and convertibles were built, and though there is no exact breakdown, it’s likely that convertibles were preferred.